If you have suffered the trauma of being involved in a civil claim or dispute and your Solicitor has negligently lost your claim or defence or damaged it as a result of their negligence in missing a Limitation date or Time Limit you will not only have suffered a loss but will rightly feel badly let down. 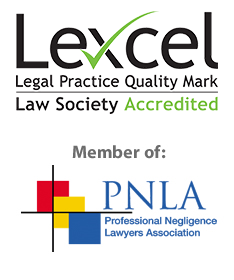 It is important to realise in these circumstances that not all Solicitors are the same and that if you had a good enough claim or defence which was lost or damaged by a negligent Solicitor you should be able to recover the compensation you deserve, through a professional negligence claim against the Solicitor. If you need help because your solicitor has missed a limitation date or a time limit, please call us as soon as possible on 0800 043 9981 or dial 0333 577 0172 from a mobile or complete our Free Online Enquiry and we’ll be happy to have a no obligation chat with you and explain your legal rights and options. Solicitors missing limitation dates or time limits. One of the most obvious and unfortunately frequent types of Solicitors Negligence case is that involving a missed Limitation date or Time Limit. In Employment Cases there are usually strict time limits of 3 or 6 months within which to bring a claim at the Tribunal with only limited discretion to allow late claims to proceed. There are also time limits for the Respondent to file their response and for both parties to take other steps in the case. Failure to comply with these time limits can lead to the loss of your case or at least serious damage to you or your case. In Civil Law nearly every form of action has a Limitation date which is fixed by statute. In some equitable cases or cases not mentioned in the statute, Limitation dates are allocated by the Courts, by reference to a similar date in the statute, “by way of analogy”. In other equitable cases there is no set date, but an equitable doctrine of Laches applies, which means that the Court can say that a case in out of time if the claim has been delayed too long. The complexity does not stop there because we first have to work out when the time starts to run, with a different starting date applying in Contract cases, to those in Negligence, where it depends on working out when the first significant loss occurred in your case. There are also exceptions to the Limitation dates and possible extensions of time, or time not running and there can be additional Limitation dates set according to dates of knowledge, with certain provisions applying to Personal Injury cases and other rules affecting other cases in Negligence, but not Contract. In Civil Litigation the conduct of your case has to be pursued in accordance with the Civil Procedure Rules and the Orders and Directions issued by the Courts. In other types of proceedings including Family proceedings or Probate, other Procedural Rules will apply with time limits set by the Rules or by Orders or Directions issued by the Courts. If your Solicitor fails to comply with the time limits set in the Rules or by the Courts for your case, this can cause you a loss, either by your Case or Defence being struck out or damaged or an Order for costs being made against you. The interpretation of the Law on Limitation of actions can lead to some missed time limits but other mistakes happen when a Solicitor fails to diarise the relevant date. In the case of missed Limitation dates and dates for starting proceedings the result is usually the same with the loss of the claim and a substantial loss to the Client, who can no longer pursue the claim against the original Defendant. In the case of other missed time limits the results can include the loss of a Claim or Defence or the inability to argue your case or with the correct evidence, thus damaging your case, Alternatively you may be subject to an Adverse Costs Order, which you would not have had to pay, but for your Solicitors negligence. A Claim can also be struck out for inordinate delays by your Solicitor and a Defendant can be debarred from Defending if their Solicitor has caused them to fail to comply with the Procedural Rules, Directions or Court Orders. It is important to use an experienced team when it comes to making any sort of claim against a Solicitor or other legal professional because these cases are often complex and difficult and the Solicitors and Lawyers’ Insurers will use many legal arguments to challenge your claim. This is particularly the case when the subject matter of the claim is a previous Litigation claim, defence or dispute. When a Litigation claim, defence or dispute claim is lost or damaged by missed Limitation dates or Time Limits there are often difficult aspects to the case, which led the Solicitor to make a mistake. This gives the Solicitors’ Insurers the opportunity to argue that it was not their fault, but also even if there was negligence, your claim or defence would not have succeeded or you would not have obtained the outcome, which you say, was lost by the Solicitor. We have specific experience of pursuing very many successful claims against Solicitors where the Solicitor has lost the Litigation claim or defence or damaged it as a result of their negligence.